E-Commerce tools provide additional functionalities to enhance e-commerce business websites. These functionalities are varied and can include areas such as ERP system integration, accounting automation, customer data collection, and abandoned shopping cart recovery. E-commerce businesses who already have an e-commerce platform or who only want to focus on a specific area of their e-commerce strategy, like customer service, turn to e-commerce tools to make business processes more efficient and productive. E-commerce tools can be used to improve marketing tactics, increase customer conversion, keep up with growing demand and company size, and leverage recurring or loyal customers. E-commerce tools are deployed to smooth and enhance operation, communication, and conversion strategies in existing e-commerce websites. Integrate with an e-commerce platform. Enhance and/or upgrade existing e-commerce functionalities. E-Commerce Tools reviews by real, verified users. Find unbiased ratings on user satisfaction, features, and price based on the most reviews available anywhere. Easyship is a technology company that offers one-stop shipping solutions to anyone looking to grow their business. Integrated with 100+ worldwide couriers, Easyship provides rates discounted by up to 70% and complete visbility on international shipping regulations, taxes and duties, available couriers, and shipping costs from one single account. The user-friendly platform seamlessly integrates with major online marketplaces, providing an all-in-one shipping management tool from in-cart checkout to delivery, allowing eCommerce sellers to save time and money on shipping. Go global in a matter of minutes! Google Shopping Prestashop addon allows the store admin to upload their Prestashop store products to Google Shopping which helps to increase the brand awareness. Google Shopping Prestashop addon allows the Store admin to upload the Pestashop store products to Google Shopping which helps in brand awareness. It allows admin to showcase their products to new customers, who are actually searching for these products by uploading their Prestashop store products to Google Shopping store . esa Product Manager is a multi-channel manager of products that imports from eBay and synchronizes the user's eBay items into their Etsy shop. Loqate, a GBG solution, is the world’s most trusted data specialist in location intelligence for businesses of all sizes and sectors. By combining our leading address verification and geocoding technology with the richest data we give businesses anywhere in the world the precision and reliability they need to give their customers the best possible experiences. From one, simple-to-use source, our customers can access our global data and knowledge repository for hyper-local insights, helping them to generate more business and retain more customers. Our market-leading verification and geocoding technology ensures accurate quality data is captured and exists in your back-office systems such as CRM or Master Data Management. Vital for business efficiency and for the successful management of customer experience. Loqate's real-time verification technology works just like a search engine, suggesting accurate results as the user types, making it quicker and easier to enter data, as well as ensuring data quality at the point of entry. Our real-time address verification search tool uses advanced Fuzzy error correction, even recognizing when users misspell words, leave out part of the address or make typos. The service also eliminates common customer address issues such as unknown ZIP+4 codes or problems with mail delivery to apartments and suites. Data Coverage Our global data covers over 245 countries and territories - ensuring international addresses are standardised in the correct format. Data Quality Loqate checks addresses for accuracy against a global portfolio of best-in-class and trusted databases and enhances with geospatial reference data sets, resulting in complete and accurate addresses. Global API Full HTTPS API is available for all of our services, with multiple endpoints provided so you can access the data in whichever way suits you. Should you need it we can provide you with documentation to support this. Deployment options Our single API for all countries enables us to offer flexible deployment options – on premises, cloud or private cloud – to meet our partners and customers’ specific implementation requirements. * Improve user experience for increased conversion rates. * Search on any part of an address, not just the zip/postcode and results as soon as you start typing. * Recognizes common misspellings. * Single click to auto-fill forms with a complete and accurate address. * Works in over 245 countries and territories, correctly formatting international addresses. * Improve delivery rates, business efficiency and customer satisfaction. * Avoid the costs of failed deliveries and qualify for postal discounts. We help every business in the world reach every customer in the world Loqate is a GBG solution. GBG is the world’s leading Identity Data Intelligence specialist, giving organisations in over 70 countries the ability to make sense of data about nearly 4.5 billion people. By combining trillions of data records, we help our customers make informed decisions about capturing and managing personal data, risk management, fighting fraud and employment. Our global, award-winning solutions are delivered via customisable SaaS, mobile and on-premise platforms. The Prestashop mailchimp automation addon by Knowband allows the store owner to sync their Prestashop store with their MailChimp account just by entering the API key in the admin interface. I entire process done in backend. AfterShip is a web-based software that helps you keep your customers updated on the status of their deliveries from your online shop. Oberlo lets you find products, add them to your Shopify store, and ship them directly to your customers. No inventory, no risk. Let's start dropshipping! Cart2Cart is an automated shopping cart migration service seeing its main aim to make e-Commerce platform switch easy, quick and secure for store owners. Using this tool, you can transfer products, orders, customers, categories, attributes, reviews and other related entities to any of 75+ shopping carts supported. A seamless migration procedure consists of only 3 easy-to-perform steps that minimize your time just to a few minutes. No technical expertise required. Just provide the necessary info to establish the most comprehensive data exchange possible, and up to few hours, your brand-new store is ready to run! What are Cart2Cart benefits? 1. Painless 3 step migration Forget about troublesome manual data export/import procedure. All you have to do is to grant access to your stores and launch a comprehensive data transfer in a click. 2. 100% uptime of your current store Don`t stop selling while performing the migration. Switch to a new shopping cart with no harm to your business revenue. 3. Free Demo Migration available Cart2Cart tool offers you a free demo shopping cart migration in order you can evaluate its results and see how it works in action. Make 100% sure whether it meets your needs and goals and enjoy the results! 4. The widest array of supported entities Cart2Cart service allows you to transfer all your store's data, including products, orders, customers, categories, reviews, MS pages, custom fields, reviews, customer passwords, attributes, variants, taxes, images and other transferable entities to ensure much broader migration possibilities. 5. 24/7 support and assistance Cart2Cart works day and day and is always of great help and support to provide the answers to all possible tech-related questions. Get your destination cart as quick as possible! How Cart2Cart works? 1. Choose Source and Target shopping carts and provide their URLs 2. Provide API details or download and upload the Connection Bridge files to your store’s root folder (depending on shopping cart type) 3. Choose the entities that will be transferred; pick additional options, if needed 4. Perform a FREE Demo migration and move a limited number of test data to your live store 5. After verifying the Demo results, launch a full-scale data transfer Cart2Cart - shopping cart migration made easy! Raise is a retail payments company that connects consumers to buy discounted gift cards or sell their unwanted cards for cash. After this Shopify app's installation pre-order button with beautiful title shows up on product's page that is out of stock. Customer clicks on this button and goes through a regular order procedure, which allows to sell even if a product is out of stock. Title near the button will show a message that can be edited by you, for example: "We will fulfill the item within 3 days". Full list of pre-orders is shown in admin panel of the app, so you can easily control and handle such orders. AliDropship is an all-in-one wordpress solution for AliExpress dropshipping business. 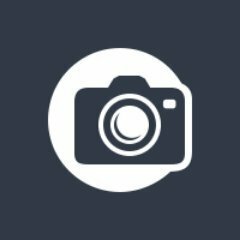 Fotomoto is an online web service that allows photographers to add a Fotomoto shopping cart to their own website or blog. Fotomoto is a print-on-demand e-commerce widget that integrates seamlessly into your existing website. Just add our code to your site, sit back, and start making money. Pixelshop is a tool that makes Instagram feeds shoppable by connecting posts to product pages, it integrate with Shopify, Magento, WooCommerce and other e-commerce platforms and embed shoppable Instagram feeds on e-commerce websites, blogs and Facebook. WPPayForm is the latest and most advanced WordPress payment plugin for Stripe and PayPal users. With this easy to use payment form builder, customers can pay you in less than a minute without going to another page. xSellco Helpdesk is the only purpose-built e-commerce help desk. Centralize all your customer queries and order details from every sales channel in one connected dashboard. xSellco prioritizes your inbox based on message urgency, as well as highlighting threads in all your sales, shipping and order information so you need never search for customer data. Suggested replies and automatic language translation will cut your response times, meaning more happy customers. Support better, sell more! Auctiva helps you list faster, increase your profits and boost your sales. ChargeDesk is the ultimate billing toolkit for your business. If you're using Stripe, PayPal, Braintree, Recurly, Zuora, WePay or Payments MB to collect payments, then you should be using ChargeDesk to improve your billing and support workflow. You'll work faster and your customers will be happier with ChargeDesk. If you're just starting out and are not sure how to collect payments, ChargeDesk can help there as well. 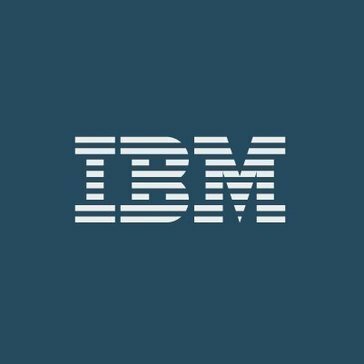 IBM® Store Engagement is an add-on to IBM Order Management and extends access and control of fulfillment operations to store associates through intuitive mobile applications that enable stores to execute “buy online, pickup in store” and “ship from store” as well as returns offerings. IBM Store improves the efficiency of store personnel with real-time access to customer and product information, the ability to view inventory levels at multiple store locations, quickly locate an order, check its status, make any necessary changes to it on behalf of a customer, manage returns and efficiently perform all fulfillment tasks in the store. CedCommerce's Walmart Marketplace Integration on Opencart enables Opencart merchants to offer their product on Walmart, auto import, and auto ship orders. Simplify the process of generating descriptions for your e-commerce site, eClassifieds, real estate portal, tour portal, deal/product aggregation site or price comparison with an AI-powered engine that will write them for you. Make your product/classified listing/deals pages content-rich in no time. Avactis Shopping Cart is an online store software. It can be customized for any design with no programming skills, and is easy to integrate with an existing Web site through a unique tag-based technology. It is SEO optimized, secure, and easy to upgrade. One of the major advantages of Avactis is the use of unique technologies that, unlike other shopping cart software, provide for fast and easy integration of an on-line store into an existing Web site, thus minimizing the time-to-market for our customers and partners. The software has no logical limitations on the number of products. The code is optimized for smooth performance with up to 35,000 products and more. Beeketing provides a suite of smart marketing apps for online shop owners of all kinds and sizes, with particular emphasis on boosting conversions, revenue and customer engagement. Claiming the ability to increase sales by as much as 45% or more, Beeketing begins by tracking customer behaviours and stores' sales data to generate the most relevant and personalized product recommendations and email marketing to the shoppers. From here the Beeketing platform of apps intelligently funnel them towards shopping cart conversions and also encouraging loyal, repeat purchases. Our software helps you import your existing web store onto FB. We give you tools for promoting it and detailed analytics about how well it is doing. Over a thousand stores, reaching millions of fans are already using our system. Hi there! Can I help you find the best E-Commerce Tools solutions?